Few rock & roll bands were riddled with as many contradictions as the Who. All four members had wildly different personalities, as their notorious live performances demonstrated: Keith Moon fell over his drum kit while Pete Townshend leaped into the air with his guitar, spinning his right hand in exaggerated windmills. Vocalist Roger Daltrey prowled the stage as bassist John Entwistle stood silent, the eye of the hurricane. They clashed frequently, but these frictions resulted in a decade's worth of remarkable music. Though it took a while to find their audience, by the late '60s the Who rivaled the Rolling Stones as a live act and in album sales. Key figures of the British Invasion and the mid-'60s mod movement, the Who were an undeniably powerful sonic force. They exploded conventional rock and R&B structures with Townshend's furious guitar chords, Entwistle's hyperactive basslines, and Moon's vigorous, seemingly chaotic drumming. Unlike most rock bands, the Who based their rhythm on Townshend's guitar, letting Moon and Entwistle improvise wildly over his foundation, while Daltrey belted out his vocals. The Who thrived on this sound in concert, but on record they were a different proposition: Townshend pushed the group toward new sonic territory, incorporating pop art and conceptual extended musical pieces into the group's style. He was regarded as one of the era's finest British songwriters, as songs like "The Kids Are Alright" and "My Generation" became teenage anthems, while his rock opera Tommy earned respect from mainstream music critics. However, the rest of the Who, especially Entwistle and Daltrey, weren't always eager to follow his musical explorations. They wanted to play hard rock instead of Townshend's textured song suites and vulnerable pop songs. The Who settled into their role as arena rockers in the mid-'70s, continuing on this path after Moon's death in 1978 and following it through various disbandments and reunions in the '80s and '90s. Nevertheless, at their peak, the Who were one of rock's most innovative and powerful bands. Townshend and Entwistle met while attending high school in London's Shepherd's Bush area. In their early teens, they played in a Dixieland band, with Entwistle on trumpet and Townshend on banjo. By the early '60s, the pair had formed a rock & roll band, but in 1962 Entwistle joined the Detours, a hard-edged group featuring a sheet-metal worker named Roger Daltrey on lead guitar. By the end of the year, Townshend joined as a rhythm guitarist, and in 1963 Daltrey became the group's lead vocalist after Colin Dawson left the band. The group's sound evolved rapidly, influenced not only by American acts such as James Brown, Booker T. & the MG's, and Eddie Cochran but also one classic British act, Johnny Kidd & the Pirates, who rocked the British charts with an original called "Shakin' All Over" (which Townshend and company added to their set list). 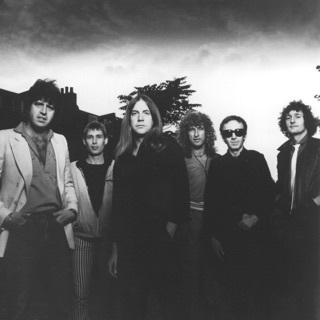 They built their reputation on fierce renditions of American-style R&B, which relied on a lean single guitar/bass/drums approach with the guitarist playing lead and rhythm, a rarity in England at the time. Townshend, realizing that approach suited him, became the band's lone guitarist. A name change also followed; with the Beatles burning up the charts, they needed something more striking than the Detours. Daltrey and Townshend settled on the Who, which confused people in conversation initially, but worked memorably on posters. Amid these changes, original drummer Doug Sandom -- who was married and considerably older than the others -- parted ways with the band just as they were about to attempt cutting a record. The group replaced him with Keith Moon, previously the drummer for the surf-rock group the Beachcombers. As the group struggled to get a break, Townshend attended art school, while the remaining three worked odd jobs. The band became regulars at the Marquee Club in London and attracted a small following, leading to the interest of manager Pete Meaden. Under his direction, the Who were renamed the High Numbers and dressed in sharp suits to appeal to style- and R&B-obsessed mods. 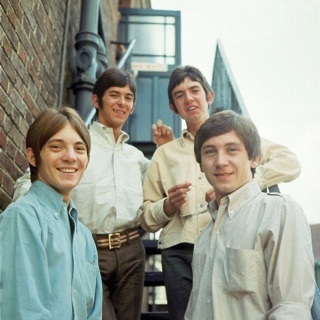 Many R&B-oriented groups tried to cultivate relationships with the mods, who could fill clubs and help propel a record onto the charts -- among those who succeeded best, besides the Who, were the Small Faces ("face" being a part of mod slang) and the Move. The High Numbers released one single, "I'm the Face." After it bombed, the group began working with Kit Lambert and Chris Stamp, two fledgling music business entrepreneurs. Lambert was the son of composer/arranger Constant Lambert; Stamp was the brother of actor Terence Stamp, and both wanted to make their mark on England's percolating music scene. Lambert spotted the group playing at the Railway Hotel in the wake of "I'm the Face" and brought in Stamp. Lambert and Stamp encouraged them to embrace the mod movement, advising them on what to play and wear, including the target T-shirt that became a visual signature. The group reclaimed the Who name and began playing a set consisting entirely of soul, R&B, and Motown -- or, as their posters said, "Maximum R&B." During this period, Townshend smashed his first guitar at a gig at the Railway Hotel -- by accident. A temporary stage extension built by the band caused him to hit the ceiling with his guitar; frustrated by the damage, and the crowd's reaction, he struck it until it was in pieces; he was only able to finish the show by using a recently acquired 12-string Rickenbacker. The following week, he discovered that people had come to see him smash his guitar. He eventually obliged with encouragement from Keith Moon, who attacked his drum kit. At first Lambert and Stamp were appalled, but Townshend soon demolished another guitar as part of Lambert's publicity campaign (and it worked, even though the journalist for whose benefit he committed the destruction never actually saw it). He didn't smash guitars at every show in those days; what he was doing in terms of generating feedback sufficed in most audience's minds. It did enhance their status with the mods: by late 1964, they'd developed an enthusiastic following -- mods loved destruction as part of an act. At the end of 1964, Townshend presented the group with an original song called "I Can't Explain," which owed a little to the Kinks' "You Really Got Me," but had lots of fresh angles. Townshend's lyrics gave a vivid impression of teenage angst perfect for Daltrey's powerful vocals and the band's full-bore attack. The result was equally punchy, sensitive, and macho, with a mean lead guitar and even some harmonies. The band and their managers thought it seemed like a great potential debut single for the newly rechristened Who. So did producer Shel Talmy, an American based in England who was producing the Kinks' records (including "You Really Got Me"). Talmy got the band a contract with the American Decca Records label on the strength of "I Can't Explain" and followed it with a contract with English Decca (the two companies were divided into separate entities at the time). Though the Talmy-produced single arrived to little attention in January 1965. After the group's incendiary performance on the television program Ready, Steady, Go -- which featured Townshend and Moon destroying their instruments -- "I Can't Explain" reached the British Top Ten. Their next single, that summer's "Anyway, Anyhow, Anywhere," declared the mod ethos to the world: "I can go anywhere (where I choose)." While it wasn't far removed from the mentality behind early rock & roll anthems, the Who made it sound resolutely English. That fall, "My Generation" climbed to number two on the charts, confirming their status as a British pop phenomenon. An album of the same name appeared at year's end, featuring various R&B covers and some interesting originals (mostly by Townshend) on the U.K. Brunswick label. Early in 1966, "Substitute" became their fourth British Top Ten hit. Produced by Kit Lambert, the single marked the band's acrimonious split with Talmy and the end of the group's British Decca/Brunswick recording contract. Lambert and Stamp also tried to scrap the American Decca deal, but that proved impossible. Starting with "Substitute," the band was signed to Polydor in England, and issued on Reaction. For a time, there were rival releases on Brunswick and Reaction, but the competition was eventually sorted out in Lambert and Stamp's (and the band's) favor. "I'm a Boy," issued in the summer of 1966, was the first Who single without a rival release on Brunswick, and it showed just how far the band and Townshend had come in 18 months. During this period, Lambert introduced Townshend to a huge range of classical music that broadened his way of thinking about composition, songs, and subject matter: "I'm a Boy," about a teenage boy forced to dress and act like a girl by his dominating mother, carried an amazing amount of exposition, but left plenty of room for the band's furious attack. In their own way, the Who were having as profound effect on rock & roll as the Beatles or the Rolling Stones: they generated immensely popular English singles that redefined the acceptable content and boundaries of pop/rock music and were also some of the era's hardest -- yet most melodic and complex -- songs. The story in the United States was very different. "I Can't Explain" barely created a ripple, and "Anyway, Anyhow, Anywhere" did little better, despite publicity on the ABC television rock & roll showcase Shindig. Even with Decca getting behind "My Generation" for a major marketing push, it only got to number 74, a shadow of what it did in England. British success was all well and good, but it wasn't enough. The instrument-smashing routine and the attendant effects (often involving flash-powder and damage to Moon's drums, as well as Townshend's guitars) were frightfully expensive, and the band was carrying an ongoing debt that drove expenses through the roof. Financial ruin was never far from the thoughts of their management, despite the fact that Lambert and Stamp now had their own Polydor imprint, Track Records -- which had a new signing in late 1966, a transplanted American guitarist/singer named Jimi Hendrix. A breakthrough for the Who in America, or in the album market in a major way, was essential. For the Who's second album, Lambert, Stamp, and the band had a more ambitious agenda. Townshend's success at writing singles inspired the Who's managers, and it was decided that this time, every member of the band would contribute songs to generate more revenue. Although this meant A Quick One was uneven, Lambert's presence allowed Townshend to write the title track as a ten-minute mini-opera. "A Quick One While He's Away" found Townshend writing (and the Who singing and playing) in idioms far beyond rock & roll, including faux Western and faux operetta. Getting dedicated rockers Daltrey and Entwistle to throw their full talents into the music, and the track's successful extended narrative, showed Townshend and company that this idea had potential. A Quick One also provided a canvas for Entwistle's blossoming songwriting: His macabre humor shone through on the catchy "Boris the Spider" and "Whisky Man," the latter showing off his skills on the French horn. Moon's "Cobwebs and Strange" was also a suitable moment of light humor, and even Daltrey -- whose songwriting aspirations never rated much of his attention -- contributed "See My Way." A Quick One had a diversity of sounds and creative voices, though the Who got relatively little recognition for it at the time. Upon its 1966 release, A Quick One became another British hit, and also provided a minor American breakthrough. Retitled Happy Jack, its title track reached the Top 40 in early 1967. To do that, the Who played the U.S. as part of a package tour organized by DJ-turned-impresario Murray the K. Booked alongside Cream, folkies Jim & Jean, and Wilson Pickett, doing short sets five times a day, the group got the necessary exposure to a wider public, even though "Happy Jack"'s vocal harmonies and relatively restrained guitars made it an atypical Who song. Their next major U.S. milestone was playing the Fillmore in San Francisco. For that occasion, they had a problem that was the reverse of the Murray the K performances -- the latter had been too slight at 15 to 20 minutes, but their usual 40-minute sets were too short for the Fillmore. In the Richard Barnes book Maximum R&B, it was recalled that to lengthen their set, they learned the entire mini-opera and the rest of A Quick One, which they hadn't performed live. After the Fillmore gig in June 1967, they played their most important American show yet, the Monterey International Pop Festival, which put them in a duel with labelmate Jimi Hendrix to see who could end their set more outrageously. Hendrix won with his incendiary performance, but the Who acquitted themselves admirably with a dramatic destruction of their instruments. Reverting to their old stage act was especially awkward, as they'd finished an album and single that represented a new phase. Constructed as a mock-pirate radio broadcast, The Who Sell Out was a concept album and a loving tribute to England's pirate radio stations, which had been closed in a government crackdown. The group threw everything they had into the album in order to solidify their position in England and finally crack the U.S. market, including the classic "I Can See for Miles." An explosion of excitement and controlled tension, it seemed like a certain chart-topper. Daltrey's performance was the best of his career to date, matched by Townshend's slashing guitar, Moon's frenetic drumming, and Entwistle's anchor-like bass. It took a lot of work at three different studios -- including Los Angeles' Gold Star -- on two continents and two coasts to get that sound; as a consequence, it was so difficult to perform that it became the only hit that they abandoned playing live. It became their first Top Ten hit in America, and reached number two in England, but that wasn't sufficient for what the band or their management needed. The group spent much of 1968 seeing the singles "Call Me Lightning," "Magic Bus," and "Dogs" -- inspired by Townshend's interest in dog racing -- fail to meet expectations. Track Records, squeezed for cash even with Hendrix's burgeoning sales, assembled Direct Hits, which compiled the band's recent singles (minus the Shel Talmy-produced Brunswick sides). In the United States, Decca Records -- with only two actual "hits" by the group to work with, plus "Magic Bus" (which did unexpectedly well on that side of the Atlantic) -- released Magic Bus, an unacknowledged compilation album built around the hit and drawn from U.K. singles, EPs and recent album tracks. It was misleadingly subtitled "The Who on Tour," and that's a lot of what they did in 1968, especially in the United States, but not the way they did in 1967; this time, they were playing places like the Fillmore East, where they recorded one show for a possible live album. 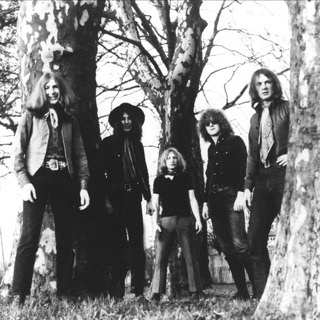 This plan went awry when the show wasn't quite good enough to represent the group, and was abandoned entirely with the vast changes in their songbook in 1969. While making their first serious long-term headway in the U.S., the band -- mostly Townshend, in collaboration with Lambert on the early libretto -- were devising and recording a large-scale work. Tommy arrived in May of 1969, more than a year and a half after The Who Sell Out. However, it was still unfinished -- the band wanted to add more instruments on certain songs, and Entwistle was particularly upset at the bass sound on the released recording. But they were out of money and options, so Tommy was released as a work in progress. And for the first time, the stars lined up in the Who's favor, especially in the United States. The serious rock press seized on the album as a masterpiece, while the mainstream press started to take rock music seriously. The Who were new and fresh enough, and Tommy ambitious enough, that it became one of the most widely reviewed and written-about albums in history. Tommy climbed into the American Top Ten as the group supported the album with an extensive tour where they played the complete opera. In some respects, Tommy became too successful. Audiences expected it to be done in its entirety at every show, and suddenly the Who were routinely playing for two hours at a clip. The work soon overshadowed the Who; it was performed as a play, redone as an orchestrated all-star extravaganza (starring Daltrey and featuring Townshend's guitar), and would eventually be filmed by Ken Russell in 1975 (the movie starred Daltrey). In 1993, Townshend turned it into a Broadway musical with director Des McAnuff. While Tommy kept the band busy touring for almost two years, how to follow it stumped Townshend. As he worked on new material, the group released Live at Leeds in 1970 (which yielded the hit single "Summertime Blues"), as well as the single "The Seeker," giving them some breathing room. Eventually, he settled on Lifehouse, a sci-fi rock opera strongly influenced by the teachings of his guru, Meher Baba, that pushed the group into new sonic territory with electronics and synthesizers. The rest of the Who weren't particularly enthralled with Lifehouse, claiming not to understand its plot, and their reluctance contributed to Townshend suffering a nervous breakdown. Once he recovered, the group picked up the pieces of the abandoned project and recorded Who's Next with producer Glyn Johns. Boasting a harder sound, Who's Next was a major hit, and many of its tracks -- including "Baba O'Riley," "Bargain," "Behind Blue Eyes," and "Won't Get Fooled Again" (which were both issued as singles), and Entwistle's "My Wife" -- became cornerstones of '70s album-oriented FM radio. The Who's Next tour solidified the band as one of the two top live rock attractions in the world along with the Rolling Stones. Suddenly their history was of interest to millions of fans; Meaty Beaty Big and Bouncy, a 14-song retrospective of their singles, also sold in massive numbers. Who's Next's success spurred Townshend to attempt another opera. With Quadrophenia, he abandoned fantasy to sketch a portrait of a '60s mod. He stopped working with Kit Lambert, who lost influence with the group in Tommy's wake; the band also left Lambert and Stamp's management. As Townshend wrote the album in 1972, he released Who Came First, a collection of private recordings and demos he made for Meher Baba. Entwistle began his own solo career with Smash Your Head Against the Wall, which he followed with Whistle Rhymes, released the same day as Townshend's album. A double album, Quadrophenia sold extremely well, but it proved to be a troublesome concert piece. It was difficult to play live, and few outside of England were familiar with its mod subject matter. It soon became clear that audiences hadn't had the time to familiarize themselves with the work, leading to a lukewarm response on tour. After some retooling, the group performed an abbreviated version of Quadrophenia with some success. The Who began to fragment after Quadrophenia's release. In public, Townshend fretted over his role as a rock spokesman; in private, he sank into alcohol abuse. Entwistle concentrated on his solo career, including recordings with his side projects Ox and Rigor Mortis. Meanwhile, Daltrey approached the peak of his powers: he had become a truly great singer and was surprisingly comfortable as an actor as he alternately pursued a film career and solo albums. Moon continued to party, celebrating his substance abuse and releasing the solo album Two Sides of the Moon. During this hiatus, the group issued the rarities collection Odds & Sods (1974), which surpassed existing bootleg collections and charted like a new release. Meanwhile, Townshend worked on new songs, resulting in 1975's disarmingly personal The Who by Numbers. The album was a hit, though its number eight placement in the U.S. reflected listeners' modestly diminishing enthusiasm (Quadrophenia, despite being a rather expensive double LP built around a somewhat outré subject, reached number two on both sides of the Atlantic). Following the Who by Numbers tour, the band took an extended hiatus. During the late '70s, the band started to succumb to age and the rock & roll lifestyle. After years of playing live, Townshend permanently damaged his hearing. On their 1976 tour, Moon collapsed on-stage just a few minutes into a show at the Boston Garden -- he recovered and seemed to laugh off the incident, while an audience member sat in behind the drum kit to allow the band to finish playing. He continued partying and even suggested a possible successor, ex-Small Faces/Faces drummer Kenney Jones. The Who reconvened in early 1978 to record Who Are You, which was released that August, accompanied by a stunning promotional/performance video of the title song. Instead of responding to the insurgent punk movement, which labeled the Who as has-beens, the album represented the group's heaviest flirtation with prog rock since Quadrophenia. It was a huge hit, peaking at number two in the American charts and earning a platinum sales. Instead of being a triumphant comeback, however, Who Are You became a symbol of tragedy: on September 7, 1978, Moon died of a drug overdose. Since he was such an integral part of the Who's sound and image, the band debated carrying on. Though they continued, all three surviving members later claimed they felt the Who ended with Moon's death. 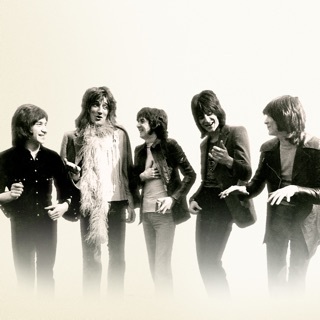 They took Moon's suggestion and hired Small Faces drummer Kenney Jones as his replacement, as well as keyboardist John "Rabbit" Bundrick, and began working on new material in 1979. Before they released a new record, they released the live documentary The Kids Are Alright and contributed music to Franc Roddam's cinematic adaptation of Quadrophenia, which starred Phil Daniels. The Who began touring later that year, but the tour's momentum was destroyed when 11 attendees at the group's December 3, 1979, concert at Cincinnati's Riverfront Coliseum were trampled to death in a rush for choice festival seating. The band wasn't informed of the incident until after the concert, and the tragedy deflated whatever good will they had. Following the Cincinnati concert, the Who slowly fell apart. Townshend became addicted to cocaine, heroin, tranquilizers, and alcohol, suffering a near-fatal overdose in 1981. Meanwhile, Entwistle and Daltrey soldiered on in their solo careers. The band reconvened in 1981 to record their first album since Moon's death, Face Dances, a hit that received mixed reviews. The following year, they released It's Hard and embarked on a supporting tour billed as their farewell to fans, with the live Who's Last arriving in 1984 as a commemoration of the tour. The farewell tour wasn't the Who's final goodbye. While Entwistle and Daltrey's solo careers lost momentum in the '80s, Townshend continued recording to relative success. However, the Who still haunted him. The group reunited to play Live Aid in 1985, and three years later, they played a British music awards program. In 1989, Townshend agreed to reunite (minus Jones, who was replaced by session drummer Simon Phillips) for a 25th anniversary American tour, which was perceived as a way to make a lot of money -- which Daltrey and especially Entwistle needed. They followed it with a live album, Join Together. The Who reconvened in 1994 for two concerts celebrating Daltrey's 50th birthday, commercial success that helped Townshend's effort to bring Tommy to the Broadway stage. It became a huge hit and revived interest in the album. Townshend revived Quadrophenia in 1996, reuniting the Who to perform it at the Prince's Trust concert in Hyde Park that summer, and it was followed that fall by an American tour that proved to be a failure. The following summer, the Who launched an oldies tour of America that was ignored by the press. In October 2001, they played the Concert for New York City benefit for families of the victims of the September 11 attacks. In late June 2002, the Who were about to kick off a North American tour when Entwistle died at the age of 57 in Las Vegas' Hard Rock Hotel. In 2006, Townshend and Daltrey released the mini-opera Wire & Glass, their first collaboration as the Who in over 20 years. The full-length Endless Wire, which included the EP, was released later that year to the best reviews of any Who album since Who Are You 28 years earlier; the accompanying tour was similarly well-received. On December 7, 2008, at a gala ceremony in Washington, D.C., Townshend and Daltrey received Kennedy Center Honors for the Who's lifetime contributions to American culture.